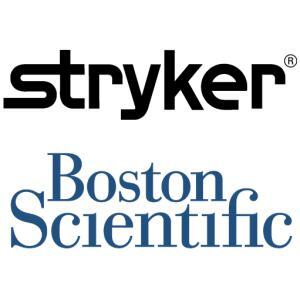 According to sources at the Wall Street Journal, Stryker had recently begun a takeover approach to Boston Scientific. However, only two days following this report, Stryker confirmed in a regulatory filing that they are not in merger talks with Boston Scientific. Following the original news release and prior to Stryker’s official statement, speculation was high. The notion of a merger between Boston Scientific and Stryker came as a surprise, but to many, it was not an implausible outcome. The two companies are no strangers to doing business together. In 2010, the pair participated in a business transaction that saw the sale of Boston Scientific’s neurovascular unit to Stryker for $1.5 billion. Should Boston Scientific and Stryker be willing to engage in another deal, as was previously speculated, the two major players would combine to form an industry behemoth worth over $110 billion. Stryker already holds a leading position in the orthopedics market, performing particularly well in spinal surgery as well as large joint and small joint reconstruction devices. As a result of the hypothetical merger with Boston Scientific, Stryker could expect to elevate their position in the stroke prevention related heart device markets by gaining ownership to the former’s extensive line of heart devices, including a variety of cardiac rhythm management products and the acclaimed WATCHMAN™ Left Atrial Appendage Closure (LAAC) Device for managing stroke risk and systemic embolism. The medical devices community has seen its fair share of mergers and acquisitions over the past year. An overview of top acquisitions in 2017 can be found here. iData Research (www.idataresearch.com) is an international market research and consulting firm, dedicated to providing the best in business intelligence for the medical device industry. Our research empowers our clients by providing them with the necessary tools to achieve their goals and do it right the first time. iData covers research in: Spinal Implants and VCF, Spinal MIS, Orthopedic Soft Tissue Repair and Regeneration, Orthopedic Trauma, Large & Small Joints, Laparoscopy, Urology, Gynecology, Endoscopy, Dental Operatory Equipment, Dental Material, Dental Lasers, Dental Prosthetics, Dental CAD/CAM, Dental Bone Graft Substitutes, Ultrasound, X-Ray Imaging, Diagnostic Imaging, Oncology, Ophthalmics, Vascular Access, Interventional Cardiology, Cardiac Surgery, Cardiac Rhythm Management, Electrophysiology, Operating Room Equipment, Surgical Microscopes, Robotics and Surgical Navigation, Anesthesiology, Wound Management and more.